June 2014 - Instead of regular updates to this website, I've switched my newsfeed over to these blogs. 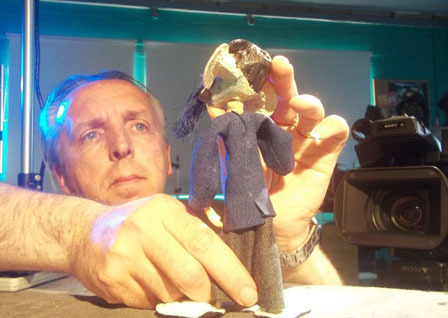 Here you can find the latest information on David Quin's activities, animation, tv projects, workshops, teaching and learning, film festivals and lecturing. 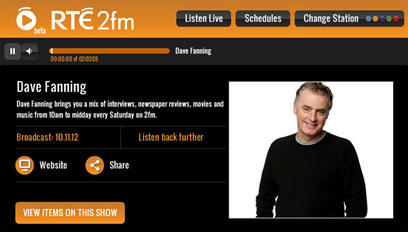 David Quin on Dave Fanning! 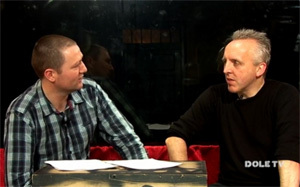 Thanks to Dave Fanning for inviting me to appear on his radio show, to talk about 'animation'. I appeared on the show with Kavaleer's Andrew Kavanagh and Jerome Morrissey (boss of Ballyfermot Senior College back in the 1980's and 1990's) phoned in from Kenya! Dave Fanning described my father and I as 'Irish Animation Royalty', responsible for making some of the most memorable children's programming on RTE! Thank you Dave! A very enjoyable discussion, covering animation in general, some Irish animation history and the current and future potentials of 'platform agnostic' media. 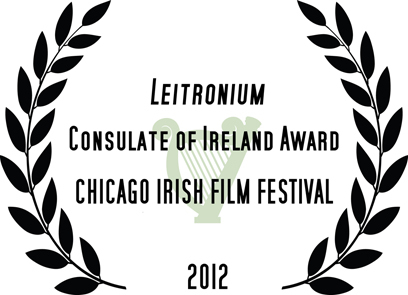 Award at the 13th Chicago Irish Film Festival! The Consulate of Ireland Award recognizes a short film that best celebrates Irish culture or film production. The festival is extremely grateful to Aidan Cronin, Consul General of Ireland and Tim Reilly, Vice Consul General of Ireland for inaugurating this award and who were both on hand for the presentation. The award was announced by Ireland’s Minister of Housing, Jan O’Sullivan, who spoke about the amazing growth and innovation in filmmaking that has occurred since the 1990’s in Ireland. Special thanks to Chicago Irish Film Festival's Judith Blackburn, a staunch Mister Heaney fan! The guys at DCTV's Dole TV asked DQ to do an interview about the 'cutbacks' project. Thanks to Barra, Turlough, Dean and the crew. September 2011 - Happy Birthday 'cutbacks'! 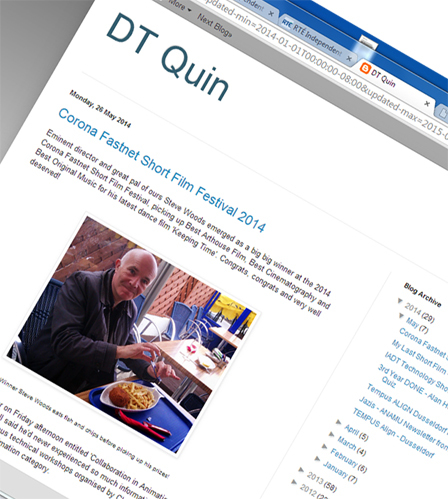 David Quin (aka DT Finn) has been invited to do a 'cutbacks' talk and screening for The Darklight Film Festival, in October 2011, probably on Saturday 22nd October. Thanks to all at Darklight for the interest in 'cutbacks' and for the invite to speak. Watch for disgraceful details! May 2011 - New 'cutbacks' Short Films? Two new short films, starring the characters from the 'cutbacks' internet series have reached the 'rough cut' stage and are already being sent out to Film Festivals. Fingers Crossed! Also, development of a feature-length 'cutbacks' project has begun. May 2011 - Cutbacks Article in Tipperary Star! The Tipperary Star published a half page article on the 'cutbacks' project to coincide with Jedward's Eurovision appearance. The film mentions the upcoming 'cutbacks' short films and the plans for a feature-length project. 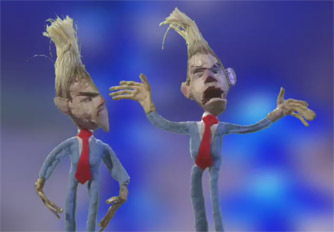 May 2011 - cutbacks Jedward on RTE! The cutbacks Jedwards appeared on RTE2, Thursday 12th of May in 'OMG - it's Eurovision! ', an Animo Production to coincide with the buildup to the 2011 Eurovision Semi Final. The programme was watched by over 250,000 avid Jedward fans! As the country grinds towards a general election, cutbacks goes from strength to strength, the viewing numbers, subscriptions and comments all growing. New characters include Michael Noonan, Eamonn Gilmore and TV3's Vincent Browne. Thanks to all 'cutbacks' supporters for your enthusiasm and encouragement! A second 'cutbacks' no-budget short film is already in the pipeline. More importantly, David Quin is working with Barley Films in an attempt to point the 'cutbacks' project towards longer form film, TV series or TV Specials over the next few months. Hopefully, 2011 will become the 'cutbacks' breakout year! David Quin's short film 'T'Was A Terrible Hard Work' continues to screen at international festivals and was broadcast on RTE 2 at the start of February. David Quin's short film 'Mister Heaney, a wee portrait' has been accepted for the Corona Cork Film Festival and for the Foyle Film Festival. David Quin's short film 'T'Was A Terrible Hard Work' has been accepted for the Waterford Film Festival, The Kerry Film Festival, Festival National D'Animation (France), Cine Club du Wissembourg (France), Merging Arts Film Festival (USA). 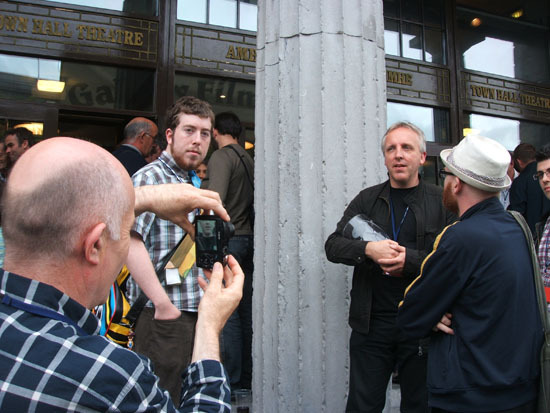 July 2010 - Galway Film Fleadh - James Horgan Memorial Prize for Best Animation! 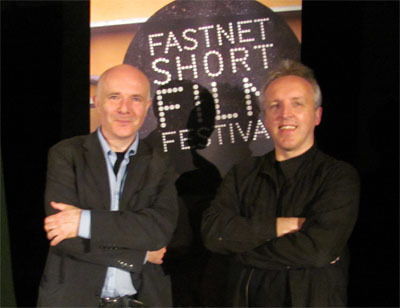 David Quin's short film 'Mister Heaney, a wee portrait' has won the James Horgan Memorial Prize for Best Animation at the 2010 Galway Film Fleadh. 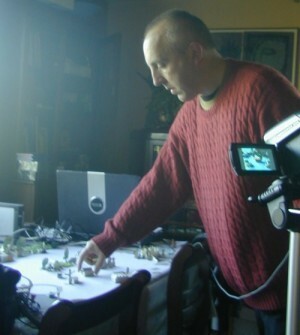 The film features several of the characters developed over the past year through the 'cutbacks.ie' internet series project. 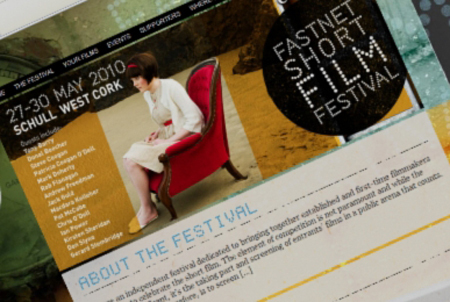 June 2010 - Best Animation Prize - Fastnet Short Film Festival! David Quin's Frameworks short 'T'Was a Terrible Hard Work' has won the Best Animation Prize in the 2010 Fastnet Short Film Festival! 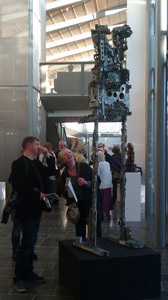 Produced in 2009, 'T'Was a Terrible Hard Work' tells of life and work in the Slieveardagh coalfield in Co. Tipperary. The film was created using the stopmotion animation technque and features the voices of Tony Ivors, Nicholas Morrissey, Sean Lyons, Joe Mc Enery and Michael Heaphey. 'T'Was a Terrible Hard Work' has been screened in numerous festivals, including Galway Film Fleadh, Corona Cork Film Festival, Espinho (Portugal), Anima (Belgium), Flatpack (UK). More information on 'T'Was a Terrible Hard Work'. DAVID QUIN has worked since 1984 as an animator/director, producing stop-motion and 3D animated series, short films and commercials. Since 1999, he has worked as an Assistant Lecturer in IADT DunLaoghaire, teaching CGI, Digital Skills and Animation. From 1999 until 2006, he freelanced with Brown Bag Films, becoming Brown Bag’s first 3D Technical Director and generating CGI for numerous commercials and short films, including the Oscar-nominated ‘Give Up Yer Aul Sins’. In 2002, he completed a BA (Hons) in Digital Media at Wolverhampton University. David Quin is married to sculptor Katy Goodhue, has three children and flies light aircraft in his spare time.